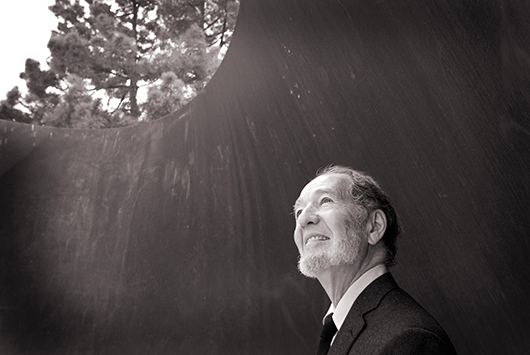 Jared Diamond, UCLA's world-renowned professor of geography, Pulitzer Prize winner and best-selling author, is about to release his newest book, "The World Until Yesterday: What Can We Learn from Traditional Societies?" (Viking Press, 2012) on Dec. 31. In a wide-ranging Q&A, Diamond talks to UCLA Magazine editor Jack Feuer about what modern societies can learn from traditional, small-scale cultures, like that of New Guinea, where Diamond has been working on and off for the last 50 years. These are people that exist without centralized governments or courts and with their own traditions for raising children and treating their elderly. Diamond will discuss his new book at a public event hosted by the Friends of the Semel Institute for Neuroscience and Human Behavior at UCLA. It takes place on Jan. 22 at 7 p.m. in Royce Hall. Admission is free, but an RSVP is required. Call (310) 825-8871 or email patty@friendsofsemelinstitute.org.